Back on my old faithful black booties again. They have been a staple in my wardrobe for the last 4 years. I usually wear them in Fall and Winter, but last Thursday since it was not very hot I decided to give them sunlight. I wore them with my printed shorts which I have been wearing a lot this season. De vuelta en mis botines negros. Desde hace 4 años ellos han sido fundamentales en mi armario. Usualmente los uso en el Otoño e Invierno, pero la semana pasada decidí ponermelos en un dia que no estaba muy cálido. Los acompañé con pantalones cortos estampados, los cuales he usado mucho esta temporada. Thank you for your lovely comment! 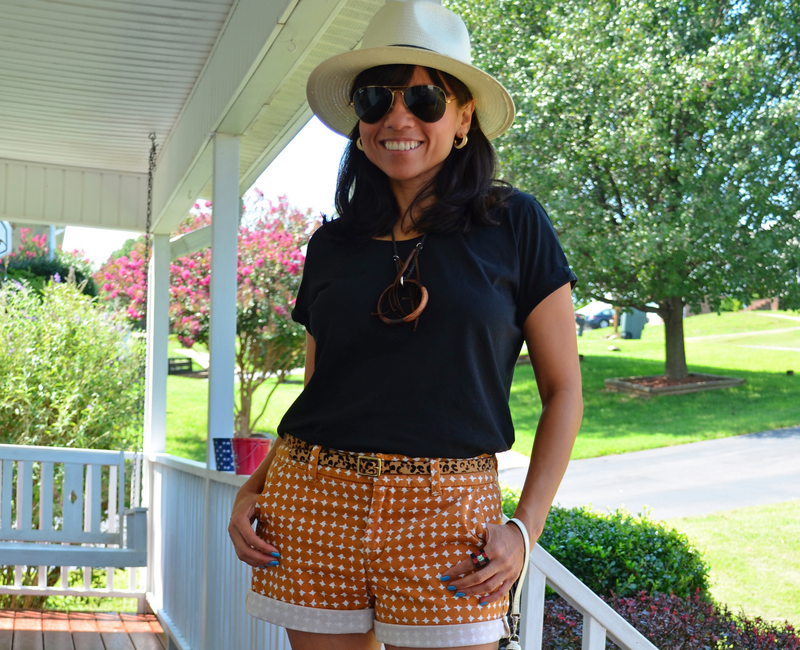 Great how you styled these shorts! Thanks Nina!! You are a great inspiration.